How to get thicker hair is every woman's desire. We go through lengths to maintain and keep longer hair. Getting thicker hair, on the other hand, seems a bit futile when you ask most women. Store shelves are bursting with products claiming to help us get thicker hair, but do you really know what you are putting onto your hair? We have vitamins for hair that can be beneficial for both the hair and body, but that can be expensive, and you will have to buy two or more bottles before you start seeing results. In this blog post, I will talk about easy at home hair mask to make hair thicker. It's very easy to make and bonus it is cheap, and you can find these ingredients in your kitchen right now. 1. Mix the two ingredients together. 2. Massage the mixture into the scalp and leave on the hair for 10-15 minutes. 3. Cover hair with a plastic shower cap to allow the heat from your scalp to penetrate the hair follicles. 4. After 15 minutes, remove the shower cap and massage the scalp for 5 minutes. 5. wash your hair as usual and style. **Note - Do this twice a week. Benefits - Coconut oil can prevent hair loss. It contains Lauric Acid which is naturally found in breastmilk. Lauric Acid supports hormone and cellular health, which can help to prevent hair loss. Coconut oils structure allow the oil to penetrate the hair follicles easier than other oils. Coconut oil is great for nourishing the hair. 1. Place ingredients in a bowl and mix together. 2. Make sure your hair is detangled and damp. 3. Apply mixture to your damp hair working in sections. 4. Let mixture sit for an hour and cover your hair with a plastic shower cap. 5. Remove shower cap after an hour and massage scalp for 5 minutes. 6. Wash your hair and style as usual. Benefits - Aloe Vera contains Proteolytic Enzymes which repairs dead skin cells on the scalp. It conditions the hair and promotes hair growth. It prevents itching on the scalp and reduces dandruff. Sweet Almond Oil is light and penetrates easily into your hair follicles. The almond nut is native to the Middle East and South Asia. Sweet Almond oil is rich in protein, Vitamin A, B, and E. Sweet Almond oil promotes shiny hair, fights breakage, stimulates hair growth. 1. 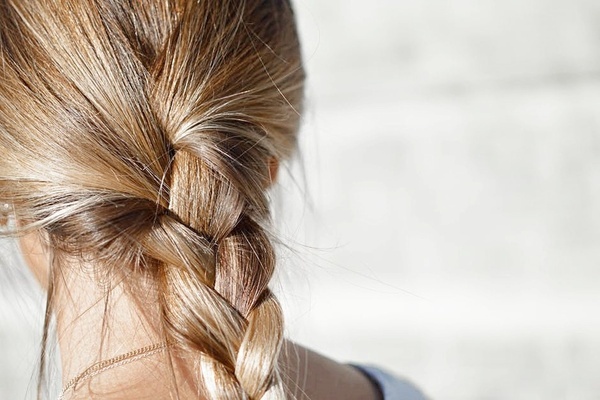 Mix all ingredients into a paste and apply the mixture on your hair. 2. Massage scalp for 5 minutes and cover your hair with a plastic cap. 3. leave hair mask in your hair for one hour. 4. After one hour, wash and style your hair as usual. **Note - Do this once a month for thick hair and rapid hair growth. Benefits - Castor oil is extracted from the Castor seed. Castor oil contains fatty acids such as Ricinoleic acid, Linoleic acid, Oleic acid. You can massage a small amount of Castor oil into hair and scalp to stimulate hair growth. Castor oil is fantastic in treating thinning hair, dandruff, split ends, serves as a moisturizer and hair conditioner. It is one of the best essential oil for hair regrowth. Honey is also beneficial when it comes to hair care. Some of the best hair care products are made with raw honey. Honey is a natural humectant, so therefore it helps to treat dry, damaged hair by drawing moisture into the hair. Honey is full of antioxidants, this nutrient feeds the hair and encourages rapid hair growth. Egg yolk contains sulfur, sulfur stimulates the scalp and increases hair growth. Egg white is one of the best sources of protein. Protein makes hair follicles stronger. 1. Warm the olive oil. 2. Massage warm olive oil on your hair and scalp. 3. Cover your hair for 3-6 hours or overnight. 4. Wash and style your hair as usual. **Note - This is perfect for pre-pooing your hair before wash day. Benefits - Olive oil brings back moisture to the hair. Olive oil is rich in Vitamins A, E, and Antioxidants. Olive oil helps protect the Keratin in hair and seals in moisture. Share and Subscribe to the blog for more beauty post. Overwashing can dry out your hair, so the less you shampoo, the more hydrated it will be and the longer it will grow without breaking. Another way is to visit, Hair Styling Manchester.